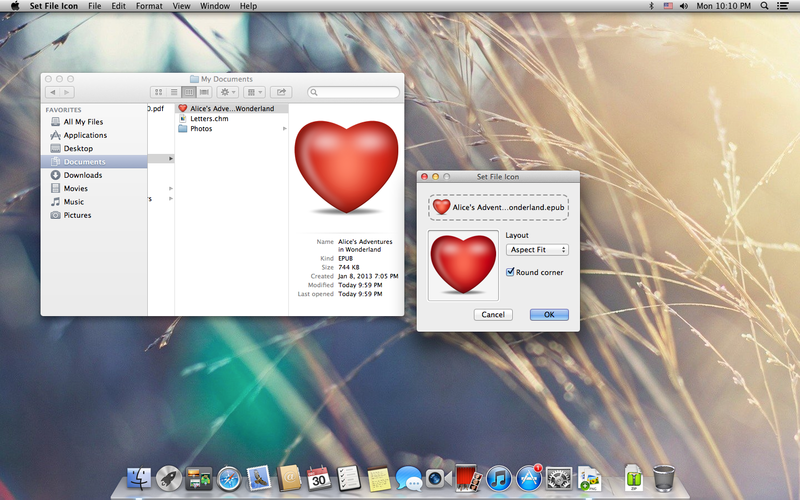 Set File Icon for Mac OS X - Customize your file/folder icons with any image! Customize your file/folder icons with any image! Set File Icon makes setting the file/folder icon a piece of cake! Set File Icon allows you beautify your file/folder icons with lovely icons, photos or any other interesting pictures! Play with your files and folders now, and have fun! IS THIS COMPATIBLE WITH MAC YOSEMITE? Yes, Set File Icon supports OS X Yosemite.